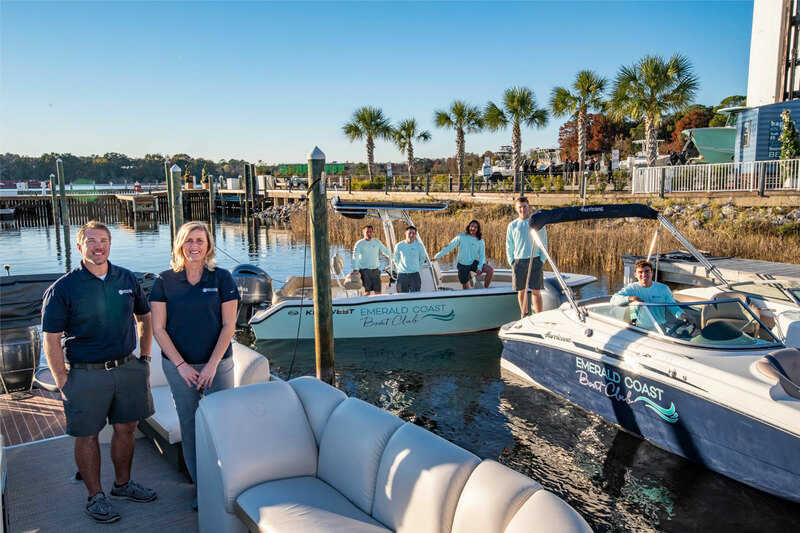 Emerald Coast Marine in Niceville just officially announced the launch of their new boating club – Emerald Coast Boat Club – just in time for the season! So, if you don’t want to deal with all that is involved with owning your own boat, you can join the club and choose from a mix of popular powerboats. Their entire fleet ranges from 20’ to 25′ and are two years old or newer. Active members have access to an online reservation system where you can call dibs on one of the boats when you want to get out on the water. Some levels of membership even grant you full access to the yacht club. According to Emerald Coast Marine, each membership option requires a standard one-time initiation fee and standard monthly dues. The only additional cost is fuel, based upon individual consumption per outing, and any concierge service requested by the member such as rental gear, ice, beverages, etc. The Platinum Membership Program offers the all-inclusive, premium package, featuring unlimited outings seven days a week along with all the benefits associated with an Emerald Coast Yacht Club Membership. The Gold Membership Program offers unlimited outings Monday through Thursday. This option is a great choice for those who simply want to boat during the week. An alternative way to still get out and enjoy the water without actually having to own a boat. If you want to check out their inventory or find out more details on the membership, Emerald Coast Marine is hosting an open house on Saturday April 20 from 11am – 3pm for tours and free boat rides.